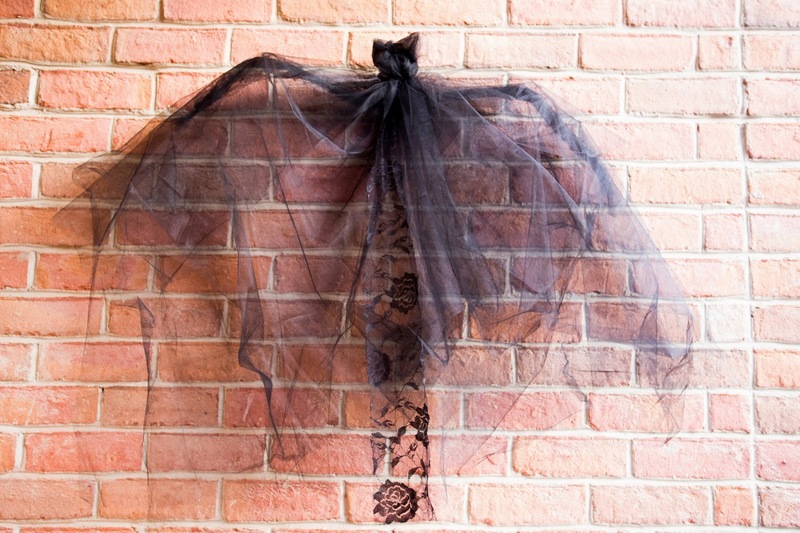 I made this Tulle Bat as part of my Halloween Front Porch Decor this year. 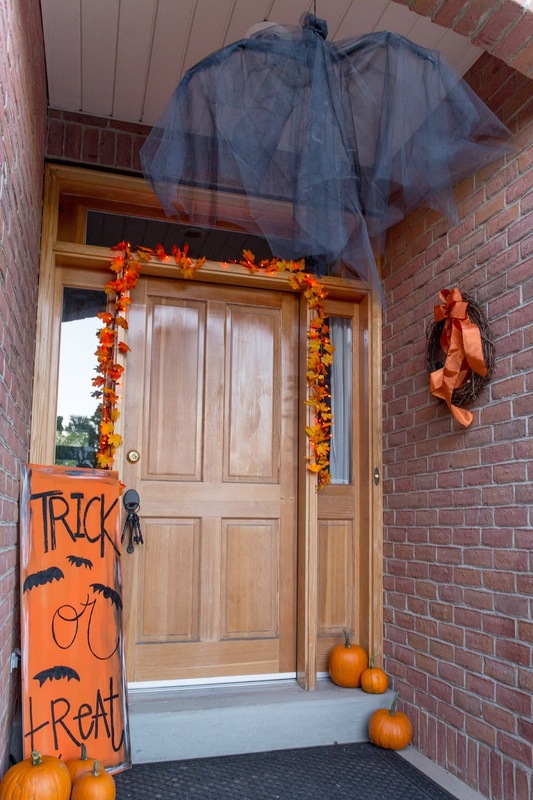 It's really easy to make and it didn't cost me a penny since I already had all the supplies. Here's what you need to make this bat. 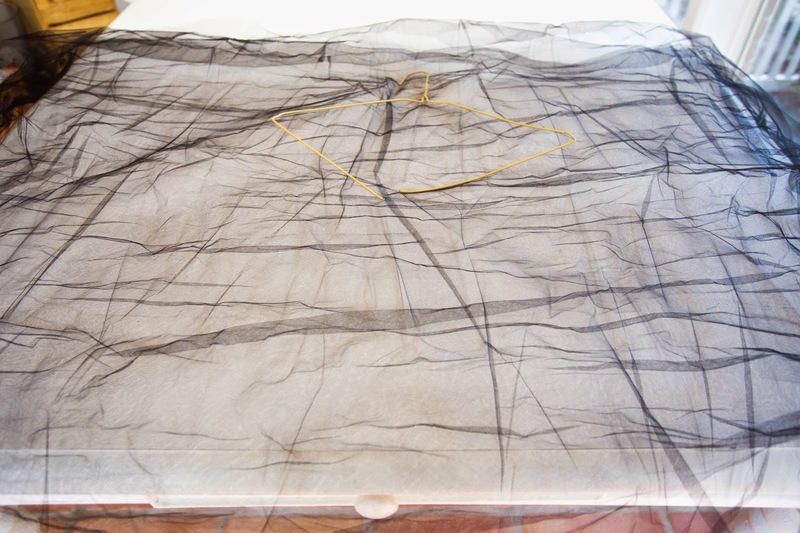 3 yards of black tulle - cut into 3 separate 1 yard lengths. Stack 3 layers of tulle on a table. 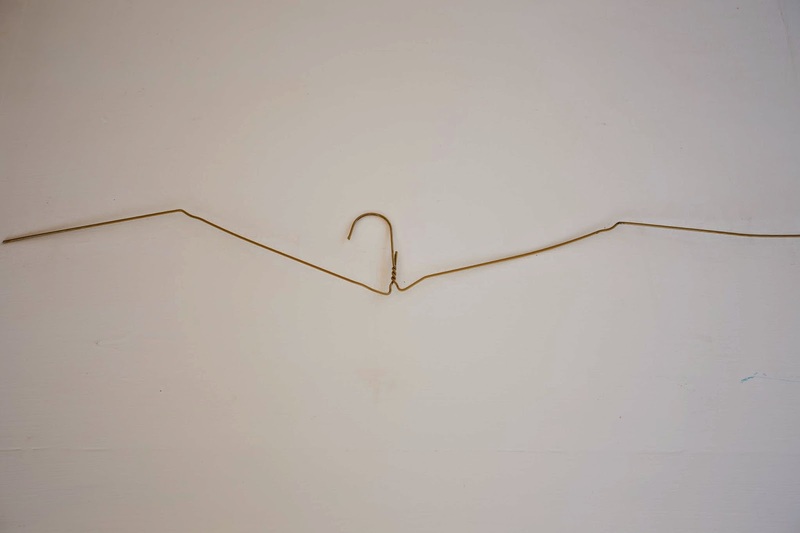 Cut the bottom-middle of the wire hanger. Open the hanger out like bat wings. 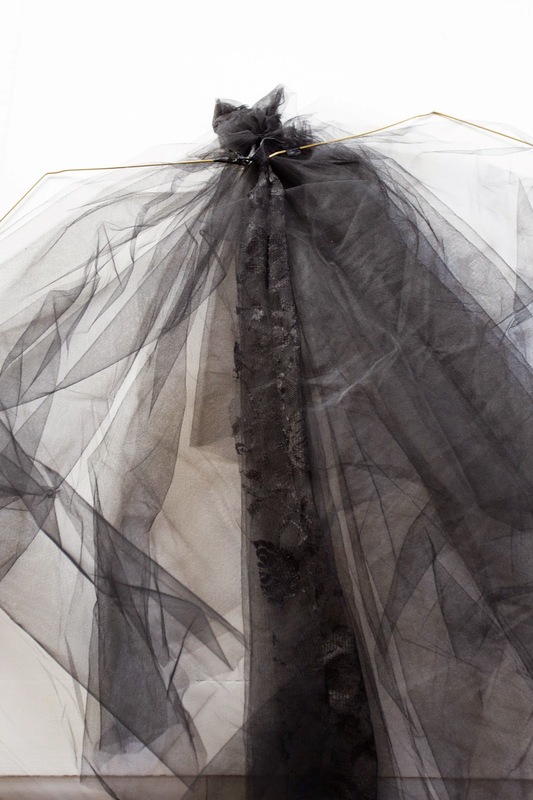 Lay the hanger on the tulle like so. 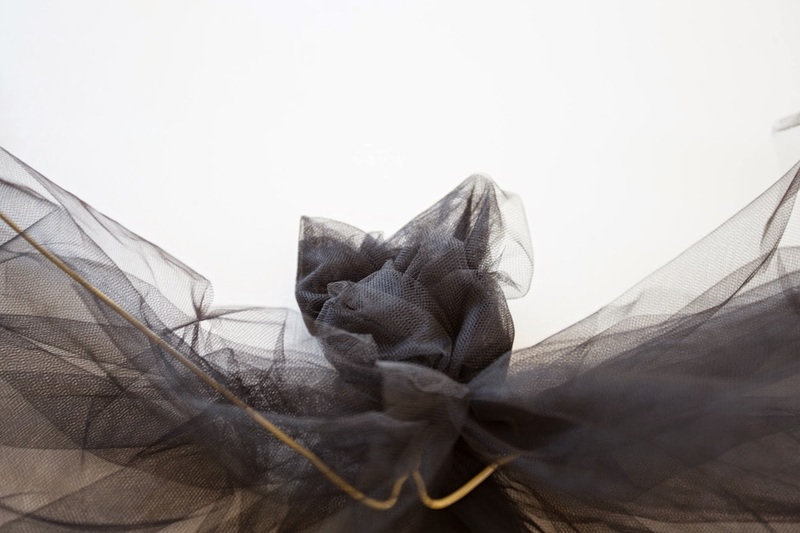 Ball up the center of the tulle over the hanger hook - tie off the ball at the base of the hook with a black hair band. At the top of the ball, tug it a bit and form two pointed ears. Hand stitch the tulle in place so the ears stay put. Optional: I tied one long piece of scrap lace to the center of the bat to add some definition. 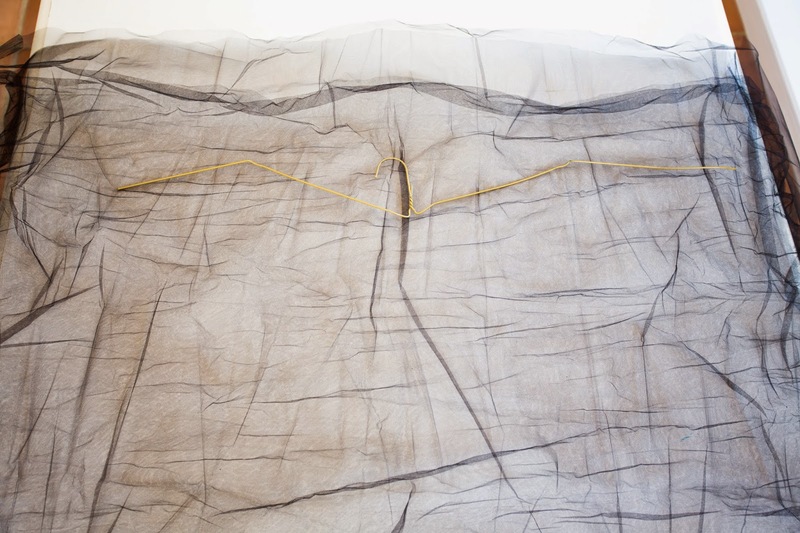 Take the strips of tulle and wrap the exposed wire. 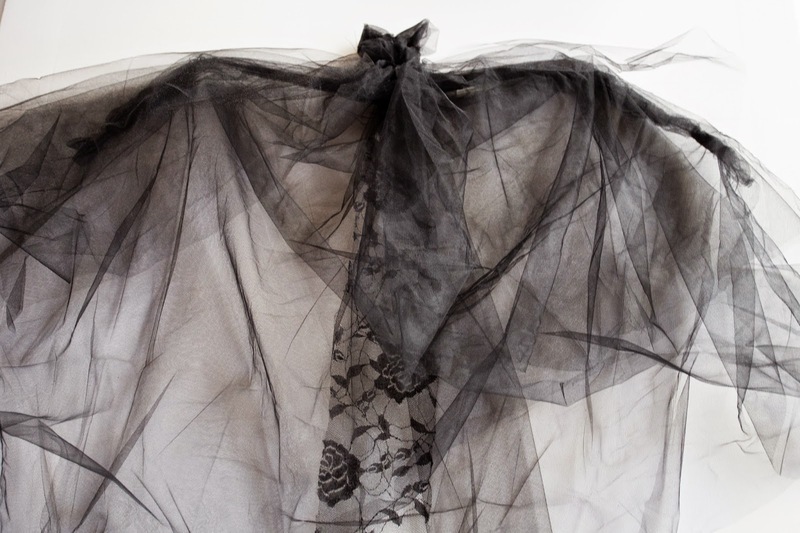 Just tie the tulle at one end, wrap, and tie off at the other end. 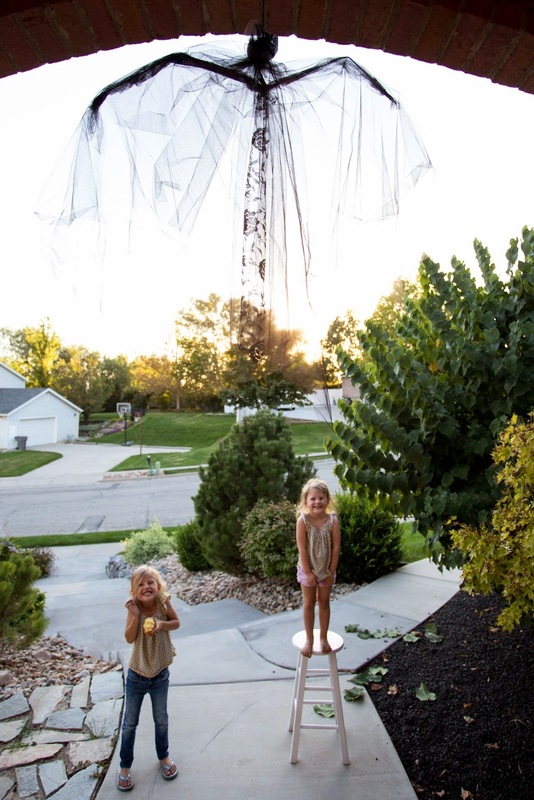 Drape the tulle over the wire wings. 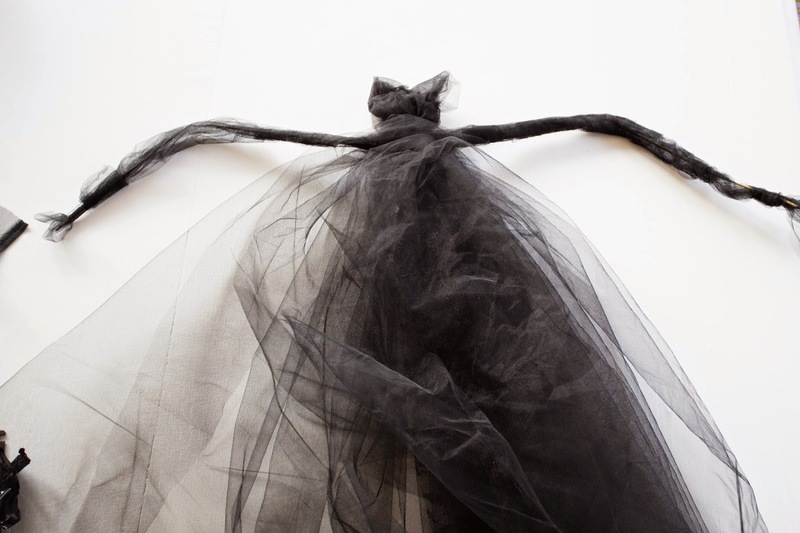 Tack the tulle in place just under the elbow of each wing using needle and thread. sew on a strip of fabric to the back of the head to hang it.